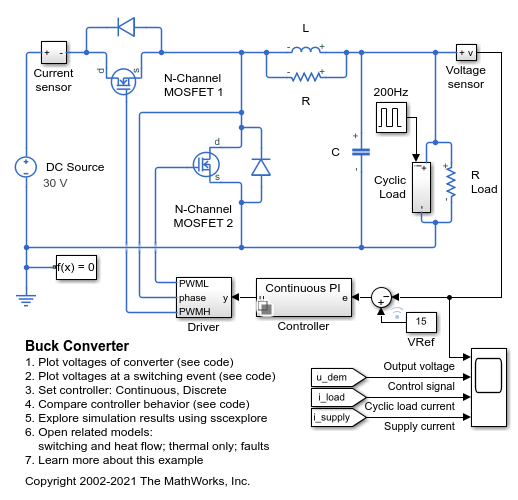 This example shows how to model a switching power supply that converts a 30V DC supply into a regulated 15V DC supply. The model can be used to both size the inductance L and smoothing capacitor C, as well as to design the feedback controller. 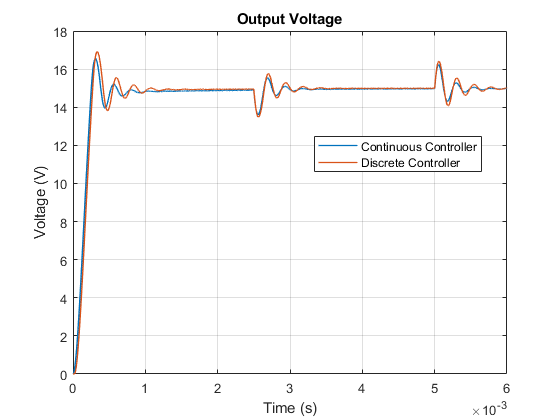 By selecting between continuous and discrete controllers, the impact of discretization can be explored. 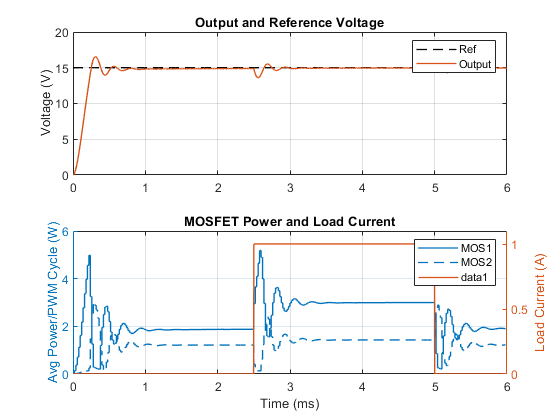 Modeling the switching devices as MOSFETs rather than ideal switches ensures that device on-resistances are correctly represented. 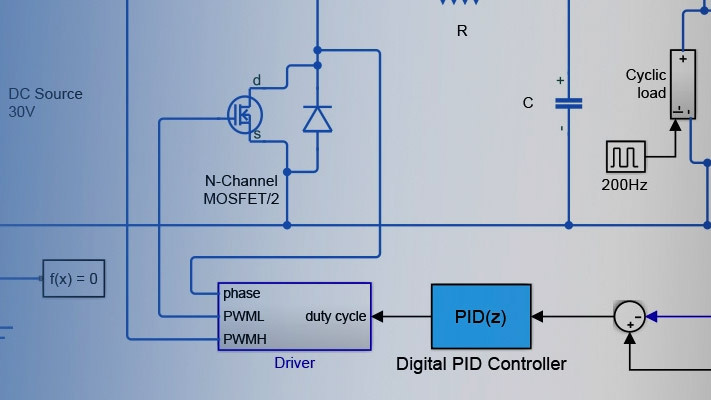 The model also captures the switch-on/switch-off timing of the devices, this depending primarily on the gate capacitance values and the PWM driver output resistance. 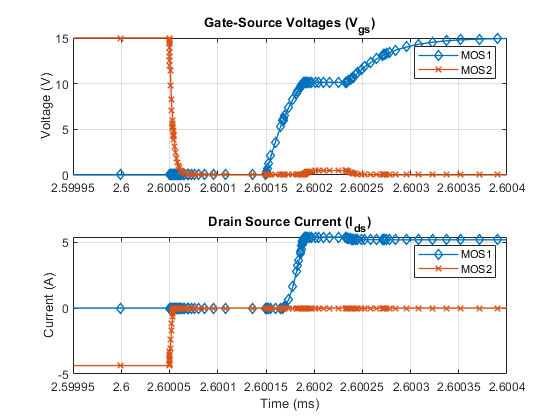 Workspace variables T_junction1 and T_junction2 are used to define the temperatures at which the two MOSFETs are simulated. Companion models ee_switching_power_supply_thermal and ee_switching_power_supply_thermal_only are used to determine these temperatures.